What is training mask? Do you know something about it? If you watch athletic shows on your TV, you may have seen renowned professional’s wearing a mask during their sports time. That’s called training mask. It’s also known as altitude mask. Training masks are so different than other normal masks. Training masks are planned to replicate some of the benefits of exercising at a big rate, by which a sportsman or athlete gets more out of his workouts. It allows the athlete to actively work on their respiratory muscle fitness. Training masks cut down the amount of oxygen as well as the air you take in at breathing time and for that, your lungs and heart have to work harder. By this, your body is adapting to uses of its physiological responses. In high altitude, there is less amount of air as well as oxygen, which makes breathing tough also. And that’s why training musk is also known as altitude mask. It increases the tension on your respiratory muscles which make them more efficient. However, it has no measurable effect on hemoglobin, hematocrit levels and air supply in your body, besides this, it works as a resisting factor to the respiratory muscle by decreasing the rate of oxygen supply. When you unmask in a race or athletic competition, your body then uses oxygen more fluently and efficiently, which leads you to a substantial extension in strength, stamina, tolerance, and speed. It makes easy to fulfill your goal of winning by extending your stamina and tolerance, which makes you different than others. Think, when you go for a run, which stops you first? It’s not your leg pain, it’s because you breathing so hard. 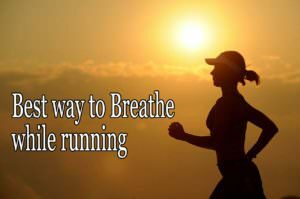 By using this, you can have control on your breathing for a long run. That’s how it works. If you are a determined one for winning in sports or race, you can buy a training mask and use it in your exercise time. But which mask you buy? Remember training mask can risk your life. If the mask restricted the air circulation in a big rate, it can damage your lungs. So, think about and know much before buy one. You have to buy a training or altitude musk as your face shape and size. Your face size depends on your weight. There is three size of the mask is common in the market, large, medium and small. We are here with a general guide to the perfect size of the mask based on your body weight. Because of restricting air supply, fitting is very important for a perfect training musk. A perfectly fitted training mask only recommended. And for a perfect fitting, facial measurement is more accurate than body weight. The outer edge of the mask should fit against your face at 1 to 1.5 inches outside the corner of your mouth. 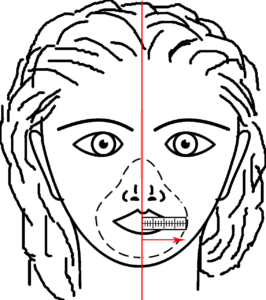 Measure from the center line (nose line) of your face at your mouth to 1 to 1.5 inches past the outside corner of your mouth. You will find various types of training or altitude mask of various manufacturers with distinctive features. The masks not only focus on dust, cold and breathing resistance, but also they have some surprising styles, options, and characteristics. Which one you purchase depends on your choices and needs. You will find one which is suitable for you. Now we discuss the features of today’s training musk. The main theme of training musk is to restrict air supply in a small rate, which increases the stamina, strength, tolerance etc. Athletes use training mask for this purpose. So, air resistance cap is the important factor for training musk. Without it, a mask can’t work with your respiratory muscles and can’t increase your body stamina as well as physiological responses. In this purpose Training Mask 2.0(Black Out and Black original) is so much preferable for purchasing. It has 6 air resistance caps which can increase your body strength, stamina, tolerance and speed with a big rate. It is designed as to take your workout to the next level. If you need to prepare for competition in high elevation area you will need it. But it is only allowed for the less workout time due to breathing difficulties. Black out is the new version of Training mask 2.0, which have 3 air resistance flux valve plungers which make it more air resistance. A training musk or altitude mask must have a lightweight. A heavy training musk is so much irritable for workouts. Nowadays manufacturers are trying to lighter more the weight of the mask. They use different materials which decrease the weight of the mask. Some use medical silicone and light fabrics. If you want a lighter one you can buy Phantom Training Mask. It is a product of Phantom, in which they use medical silicone and resilient fabric for an ultra-lightweight. It also has 4 inhaling resistance levels which can help you to increase your body stamina and strength. Most of the masks of the present time are flexible to use. 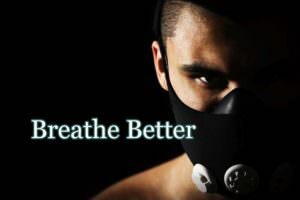 The flexibility of the training or altitude mask is a prior need. If it is not flexible with your mouth, you can’t breathe perfectly. It can create cautions with your nose and mouth, which make your breath much harder, even for this you can’t breathe sometimes. In the other hand, a training mask which is not flexible at your neck can make you unusual with your workouts, which will decrease your attention in workouts. Some training masks that you can find, which covers your full face and protect you from wind, rain, and cold. In winter a training mask with no protection facilities will dry your face, which can hamper your skin. For preventing this, you need a training mask with protection facilities for winter workouts. In rainy season a full face training musk can help you to see the road. During heavy rain, it is difficult to see the front because the drop of rain makes our eyes close. At this time a full face training musk which has facilities of protection from rain can help us. A tight fit one will decrease the possibility of disorder or dislocate of your mask during run time. 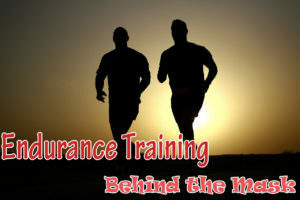 When you are in running, your body will shift so much fast, which can dislocate your mask if it is loose. So you need a tight fit training mask for your training season. Some peoples have dust allergies. Which don’t have this, they also need to protect them from dust. Dust is the main cause of many diseases. So we should protect ourselves from dust. When one worn a training mask in the face if it is not dustproof, it will not be preferable. Cycler and bikers are also worn training musk at their training season. At this time they go with a heavy speed. When they run their gear in a dirty area, dirt can makes their ride difficult. For saving themselves from this type of situation some manufacturers are marketing some training masks which are dust proof. Those have filters that filtered the dirt before reaching their nose, eyes, and mouth. The Charcoal filter is a great filter for filtering the dirt. It has carbon filtration mechanism which filtered the dust. A training mask with charcoal filter is preferable for riders and normal athletes. You don’t want to purchase a training mask with a high price that you can’t use for a long time. All of us expected that we can do proper use of our money. So, please select one for purchasing that durable for a long run. Besides this, you need a soft one. If your training mask is so much hard, how you feel? It feels like a stone in your face. So try to purchase one with softer materials. It is a new thinking. Most of the training masks have different aspects of use. For which they are not useable in some conditions. 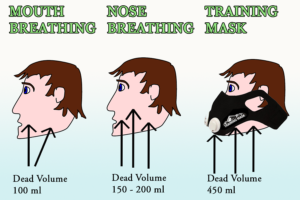 Like as a training mask with more air restriction is not preferable for all, and also a mask with ventilation holes is not usable for the purpose of increasing strength and stamina. But now a newly designed mask is marketed by the Dimok, named Dimok Hypoxic Mask has the option of regulating air supply. It has switches for changing the rate of air circulation. For which, it is preferable for all sports and all athletes. In which purpose you need a training mask is very important for choosing one. Manufacturers are trying hard to make their masks with more usability. They are inventing new technologies day by day. We are trying to explore the features and advantages of training mask. Now you have to decide which types of features you need. Be smart and take your time to choose one. First, justify the market and your need. Then purchase one. 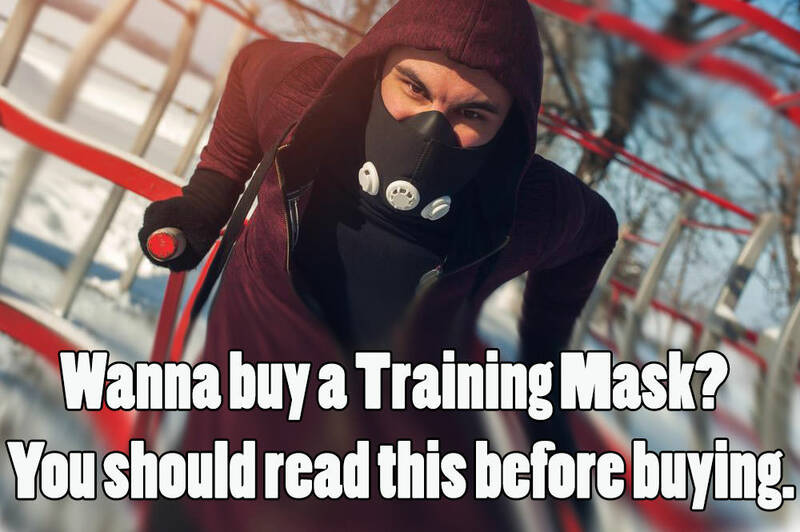 Wanna buy a Training Mask? You should read this Before buying. 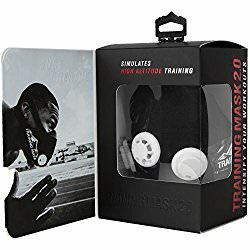 Ultimate Guide to Buy A Training Mask from Training Mask Lab.